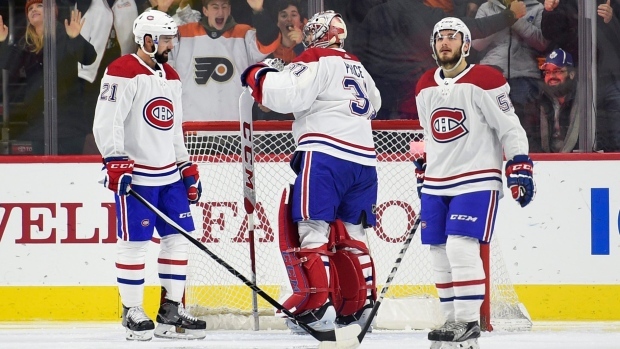 PHILADELPHIA — The bold statement emanating from Manhattan on Thursday sent shockwaves around the NHL, but the biggest ripple was really felt in Montreal. With New York Rangers team president Glen Sather’s backing, GM Jeff Gorton essentially pulled the plug on the 2017-18 season. All eyes will be on the future now, nothing else. Think about that for one second if you are a fan of the Montreal Canadiens. The Rangers are the team that knocked off the Habs in the first round of the Stanley Cup playoffs last spring. They are five points ahead of the Canadiens in the standings. More importantly, the bulk of this Rangers core has gotten far closer to a Stanley Cup than the Canadiens over the past handful of years, with a trip to the Cup Final and three Eastern Conference finals. Yet, it was the Rangers who spelled out the direction of the franchise in as clear terms as possible on Thursday. New York’s statement was refreshing, straightforward, and in an odd way reassuring to Rangers fans. There is no question where this team is heading now. The word “rebuild” was not distinctly used in the letter, but the Rangers are embracing exactly that. They went for it. They are coming through a stretch in which they didn’t have a first-round pick for four straight drafts. They fell short. They’re moving on. Meanwhile, in Montreal, the word “rebuild” might as well be among the holy trinity of Quebecois swear words. The reality for the Canadiens is that they are remarkably similar to the Rangers. Both are proud, Original Six franchises with loud fan bases. Both are among the top three in NHL revenue generation. Both have fiercely competitive owners who do not tolerate losing. Both rosters are built around their all-world netminders in Henrik Lundqvist and Carey Price. Both have also been caught in the middle with recent transactions. Last summer, the Rangers landed the No. 1 free agent in Kevin Shattenkirk. Two summers ago, the Canadiens traded P.K. Subban for Shea Weber, who is four years his senior. What changed Thursday is that Gorton and the Rangers said this core cannot compete as currently constituted. Few NHL teams admit failure like the Rangers did on Thursday, beginning the day by placing defenceman Brendan Smith on waivers just 225 days after signing him to a four-year, $17.4 million contract in the off-season, after they dealt second and third-round picks to get him last deadline. There is no one on that Rangers roster who awoke on Friday wondering about the path forward. The Canadiens are nearly two weeks from the NHL’s trade deadline and they don’t have the slightest clue who is staying or going. The Canadiens are closing in on hockey’s no-man’s land, too far from a playoff spot to compete and too far from the bottom to truly be in the draft lottery mix. The Canadiens could learn from New York’s honest about-face. But in order to make a statement like the Rangers did on Thursday, the Canadiens will first have to come to terms with reality. Marc Bergevin and Geoff Molson will need to answer the existential question: What are these Canadiens? No one seems to know that answer right now. The worst team is one without an identity. The Rangers have one now. Lundqvist said last week he is on-board with the rebuild. He probably won’t even be able to reap the rewards. With Price still in his prime and about to embark on an eight-year, mammoth contract, he can be a part of it all – but that’s even more so the reason for the Canadiens to start asking the same tough questions sooner rather than later.